A penalty surcharge of £1,903.55 (15% of the VAT due) was applied by HMRC as a result of Gillens Limited (G) submitting its VAT return and VAT payment (using a direct debit) one day late on two occasions. A three day banking period is allowed by HMRC after the submission of a VAT return to allow payment to be made on time using a direct debit. This period cannot be shortened and is the only means of payment that can be initiated by HMRC. There is an accelerated means of payment, which is apparently publicised on HMRC’s website. This can only be initiated by the taxpayer and cannot be initiated by HMRC. A director of the Gillens Limited (Mrs Walker) admitted that she was aware of the accelerated method, but thought that HMRC could initiate this, so she did not need to do anything to ensure that this particular VAT payment was not late. The company appealed the surcharge on the grounds that it was a reasonable excuse that Mrs Walker believed that HMRC could have initiated the accelerated method. However, the FTT stated: “...the Appellant should have appreciated the consequences of any delay. While we have a certain measure of sympathy for Mrs Walker who may have genuinely believed that an accelerated payment could have been made via direct debit, we do not consider that a reasonable excuse ...”. This seems rather harsh. Would the company have paid by bank transfer in time if it had realised that this would avoid a penalty? For HMRC “Mrs Oliver explained that the means of accelerated payment is publicised on HMRC’s web site and in its publications”. We are somewhat baffled by this because it is quite difficult to find anything on HMRC's website about "accelerated VAT payments". In fact all that comes up is the new consultation on tax avoiders being made to accelerate tax payments. If someone had shown the tribunal a search on "google" that problem might have been spotted. Once you are set up with a direct debit one expects HMRC to initiate payment. The danger for the taxpayer is that they risk paying twice, once by direct debit and once by bank transfer using online banking (if that is the method that HMRC's representative refers to as "accelerated payment"). Many companies don't have the cash flow to be able to pay their VAT twice. HMRC does provide a VAT payment calculator and what we assume is the "accerated payment" method is actually called HMRC's online payment service? We think! 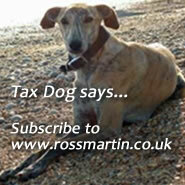 See VAT: penalties for Top Tips and links.